Massachusetts could further undermine the commonness of the Common Core standards when it votes this month on which standardized test the state will use this spring. The Massachusetts Board of Education is deciding whether to use a multi-state test, the Partnership for Assessing College and Career Readiness, known as PARCC, or to stick with its own test. In 2010, the 45 states that adopted the Common Core State Standards, a set of guidelines for what students should be able to do in each grade in English and math, were part of two multi-state groups. PARCC and the Smarter Balanced Assessment Consortium designed tests that would measure the new standards and be given to millions of students across the country. For the first time, the results of annual standardized tests would be comparable across states lines to give educators and researchers a more complete picture of how students in different parts of the country were performing. But as controversy around the standards – and the testing that accompanies them – has grown, states have dropped out of the tests or dropped the standards entirely. PARCC has been particularly hard hit, going from 26 states to seven. Experts and advocates around the country will be watching to see if Massachusetts becomes the 20th state to leave the group. Related: Can the mighty US military saved embattled PARCC? The state was unique in its slow transition to PARCC. In 2014, districts piloted the new computer-based test and in 2015, when other states gave it to all students, Massachusetts allowed districts to decide which exam to give. Roughly half tried out the new test, while half stayed with the old state assessment known as MCAS. Once an avid supporter of PARCC, Massachusetts Education Commissioner Mitchell Chester isÂ no longer recommending the Board adopt it. On the Nov. 17 vote, the board has three options: completely switch to PARCC, keep the old MCAS or develop a new MCAS. The Board will likely consider many factors, including the content of the exams, the cost and the time students spend on testing. The decision will determine what kind of questions students will see this spring. The current MCAS relies more heavily on multiple-choice questions, while the PARCC has a variety of question types, including items that ask students to choose multiple answers.Â That’s primarily because the MCAS is still a paper-and-pencil test while PARCC is designed to be given on computers. 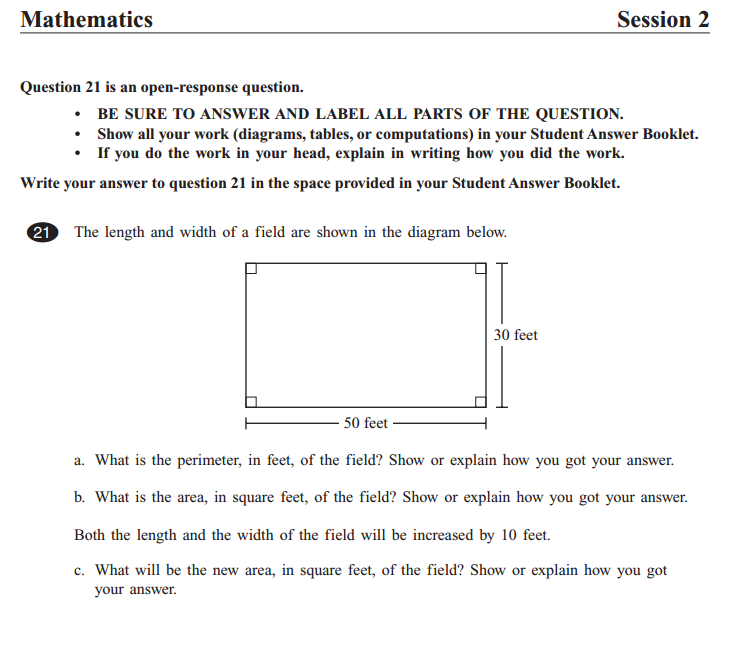 While students may have less opportunity to guess the correct answer on PARCC’s math questions, MCAS always has a few questions that require them to demonstrate exactly how they got their answer – with drawings, notations and writing. Related: Some Common Core tests are getting shorter. What are they losing? Even when PARCC does use multiple-choice questions, there’s another fundamental difference on the English exam. The Common Core English standards emphasize students citing specific details from texts that support their arguments. PARCC attempts to capture this by adding an extra step to traditional reading comprehension questions, as seen in this question from the eighth grade English practice test. The Part A/Part B question structure is seen throughout the practice tests. Part A asks a reading comprehension question and Part B asks students to identify the details that led them to their answer. To get credit for Part B, students have to get Part A right.